At Nettigo we did a lot work with NRF24L01. As a result we created small board, with ATiny84 on board and connector for NRF24L01. This board is Arduino IDE compatible (You program it using Arduino IDE, using commands You are familiar with like digitalWrite,digitalRead, analogRead, etc) we have prepared some easy to use library for most important tasks: radio communication, power save modes and more. With easy to use software interface You can get in few minutes running remote sensor, sending data to central unit and in power save mode using only ~5 µA! 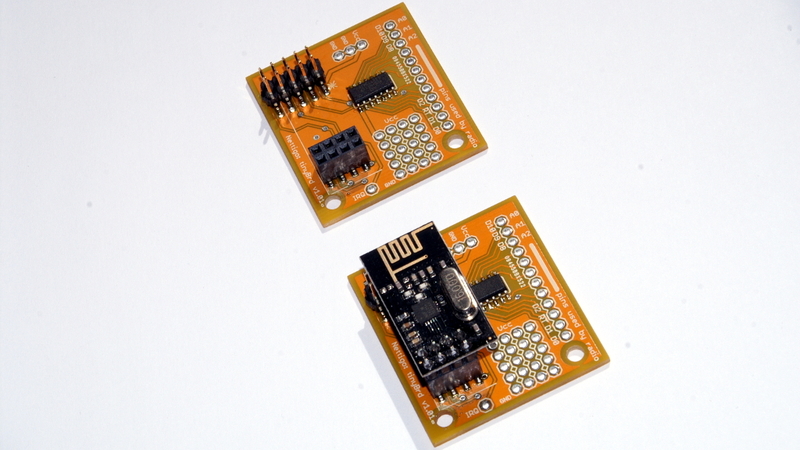 For example – DS18B20 sensor sending data to central unit each 30 seconds can work on two AA batteries few weeks.